For the past few years, ten probably, I have concentrated on building in ‘0’ Gauge some 30 locomotives. 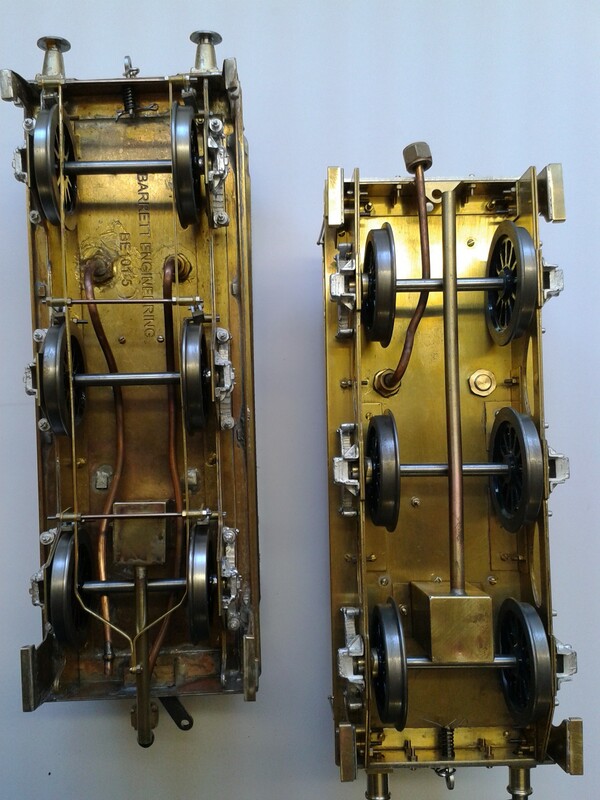 All were made from Plastikard, a much maligned material by those capable of kit construction in brass/nickel silver, or those with the skills to scratch build. I agree, mine are but cosmetic representations of steam engines but I was able to achieve some success using this material (see photos). 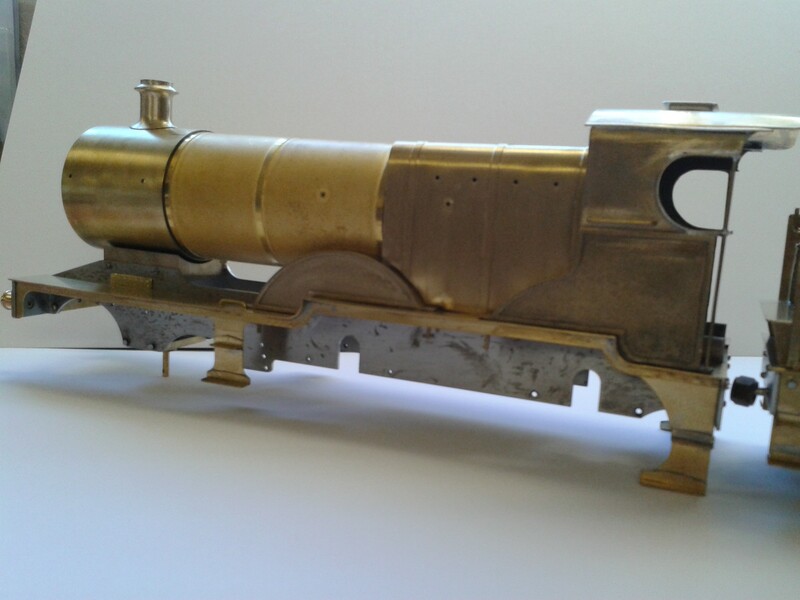 Quite by chance about three years ago, I was offered and purchased a part finished (about 10% complete) Winson 0-4-0 L&Y Pug in 5” gauge. 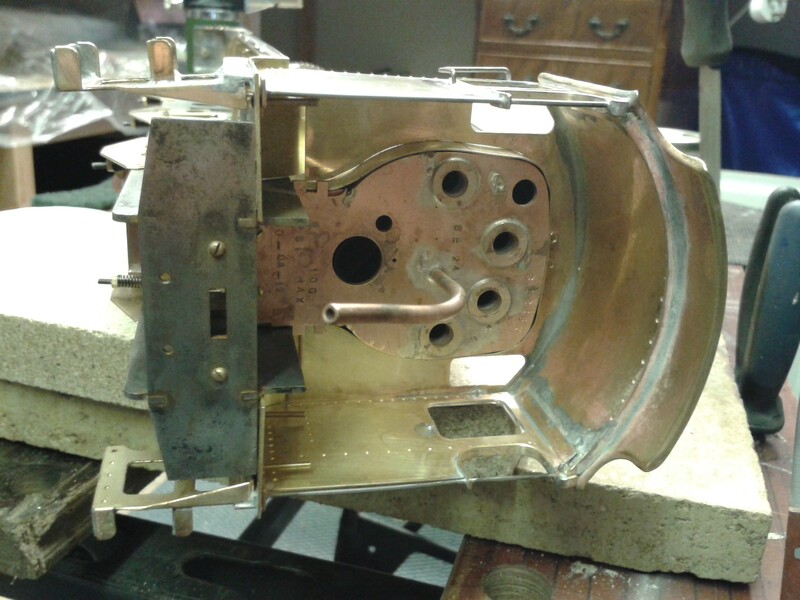 The attraction for me was the kit came fully machined and I therefore imagined an assembly and finishing project. I was aware at the time I bought it that Winson had ‘closed’ rather abruptly leaving many customers in the lurch. These kits were supplied by instalments. All very well if the company had remained trading, but not so good if you are one of the customers! The Pug I had purchased was therefore incomplete and missing a number of parts. I have acquired about 95% of the components having had some made, very kindly by fellow members of the Northampton Society of Model Engineers. Now the real problem is the instruction manual was never completed, and therefore, even if I had the full set of components, I would not know what to do with them. Why not ask someone for help to finish it? This is easier said than done, simply because most model engineers are fully committed to their own projects and therefore this is my ‘Project under the Bench’. 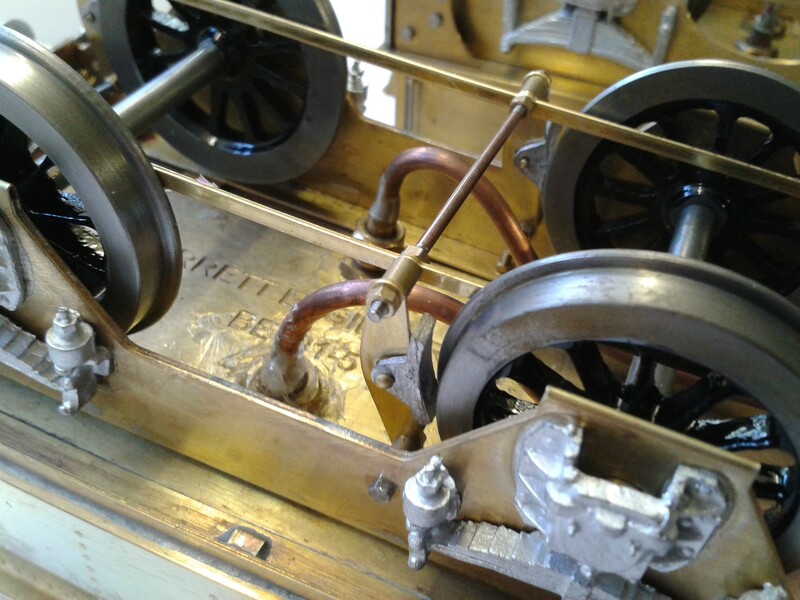 The desire to construct a live steam engines remained with me. About 18 months ago I happened to go to a model engineering exhibition, just really for a day out and to look in awe at the amazing range and quality of the models on show. What was even more eye watering, was the cost of purchasing a complete model! Alternatively, the more economical route was buying castings, etc., and machining these, that is after spending thousands of pounds on milling machines, lathes, grinders, etc., plus having the skills often gained over a lifetime to use the equipment. I wandered round the exhibition somewhat dejected and decided to head for the beer tent to rest aching feet and drown my sorrows. However on my way, I was drawn towards a large oval of track within which were a number of men chasing around the circuit following a range of Gauge 1 live steam locomotives. Not only were they risking heart attacks by an excess of exertion, being scolded by spurts of boiling water, getting fingers burnt and containing minor fires, but they appeared to be enjoying themselves! I stood and watched for probably an hour totally mesmerised by this display. I then noticed a small stand displaying some Gauge 1 locomotives which was adjacent to this circuit. 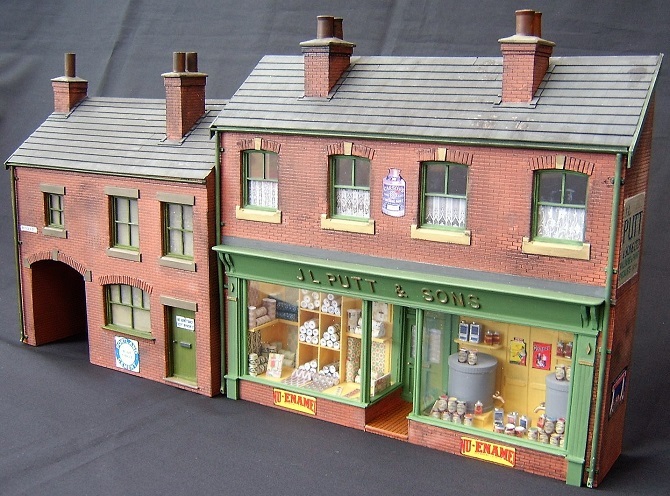 Knowing the high cost of the exhibits on the other stands and not wishing to appear too enthusiastic, I casually enquired the price of these models, not realising at the time they were constructed from kits. I was pleasantly surprised how affordable they were, particularly when compared to many ‘0’ Gauge kits and ready-to-run models. 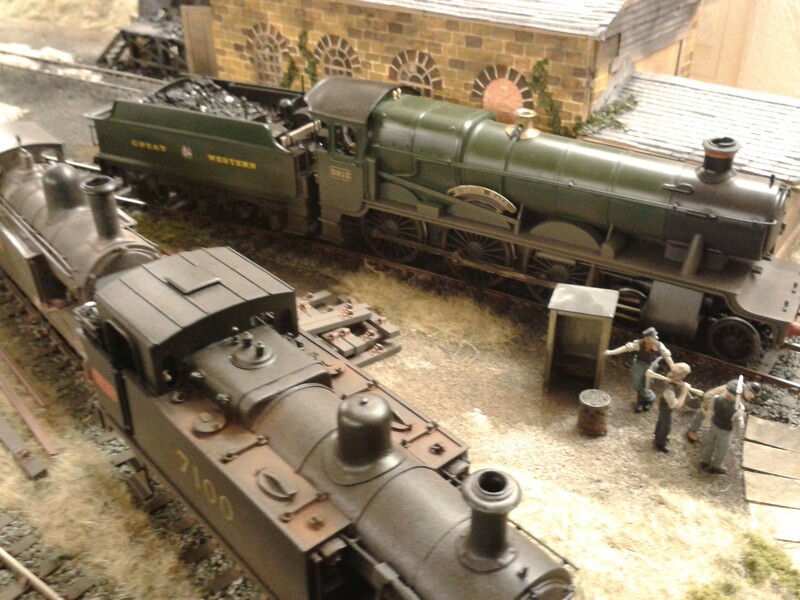 The chap on the stand, an obvious enthusiast, took time to explain in layman’s terms how the locos were constructed. The obvious points I made to him were my limited skills, and lack of a workshop. In fact, my workshop comprises a small bench and a 3” vice. Oh yes, I also mentioned I had a Junior hacksaw, a pair of pliers and a set of rusty files. This did not seem to dampen his enthusiasm, adding that I would need to add to my arsenal of equipment an electric drill, a few more basic hand tools, a couple of taps and a blow lamp for soldering. So where was the catch? 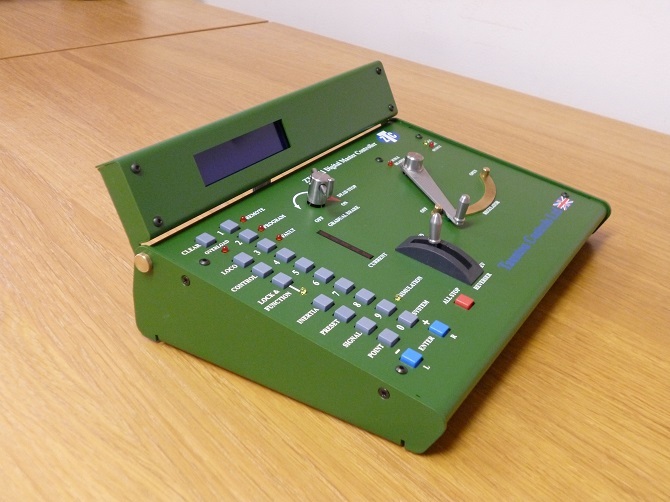 The kit would be paid for by instalments and the components sent out on a regular basis over a 12 month period. Alarms bells started ringing! Following my Winson experience, just how sound was the company? The man I was talking to was Steven Barrett, the owner of Barrett Steam Models Limited. 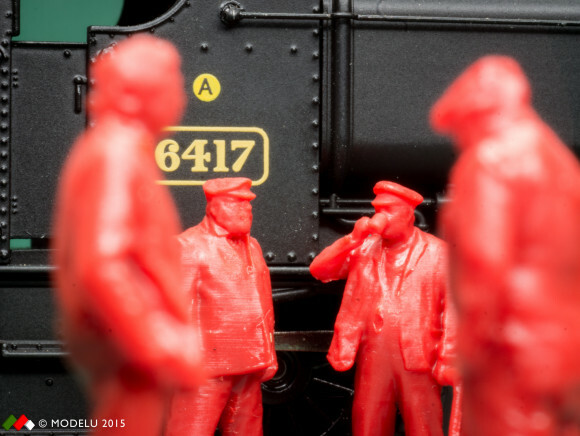 Started by his father in 1980 they have been in continuous full time production of Gauge 1 live steam locomotives ever since and their order book was almost full for the coming year’s build. This was reassuring. I was advised by Steven to try one of the starter kits to begin with, and so there and then I ordered a Midland 4-4-0 Class 2P. The one on the stand was finished in S & D J R livery and looked particularly appealing. I should add at this point I had looked through the instruction manual, which appeared in the main to be written in lay terms and was well illustrated. We would have to see. 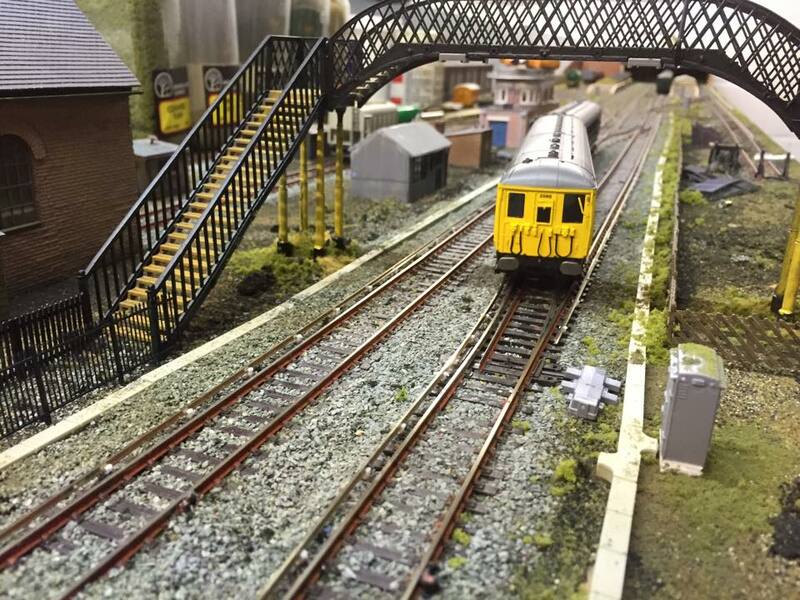 Before leaving the show I decided to join GIMRA (Gauge 1 Model Railway Association), a move that has proved beneficial in a number of ways, not least the excellent Newsletter and Journal. 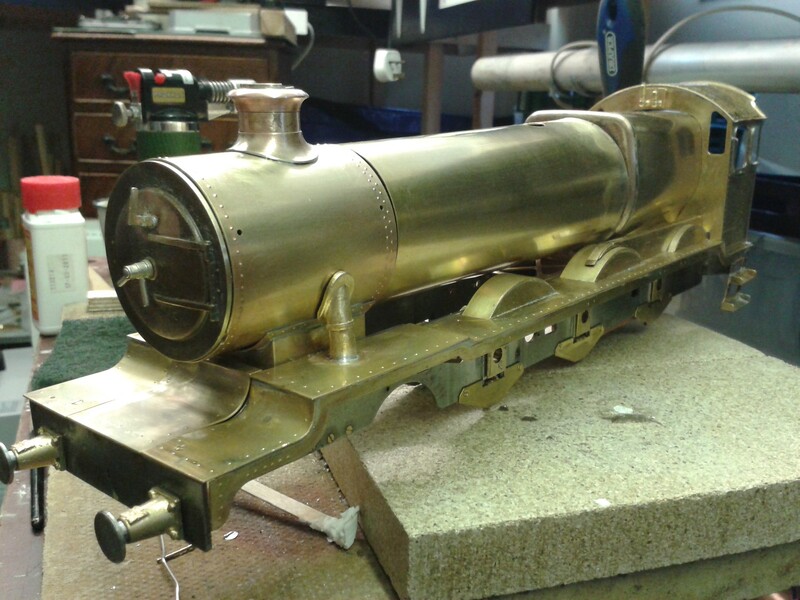 I can hear the old hands saying ‘What’s all the fuss about?” Well, we all have to start somewhere and surely we should all encourage newcomers (and those like myself wishing to change direction) to get involved in live steam and this type of kit does seem to be an ideal entry point. The 2P kit is designed as a starter project, and in fairness is relatively simple to construct. Notice I say ‘relatively’ simple. It can all be bolted or glued together. The more complex constructional aspects have already been done for the builder by Barretts. 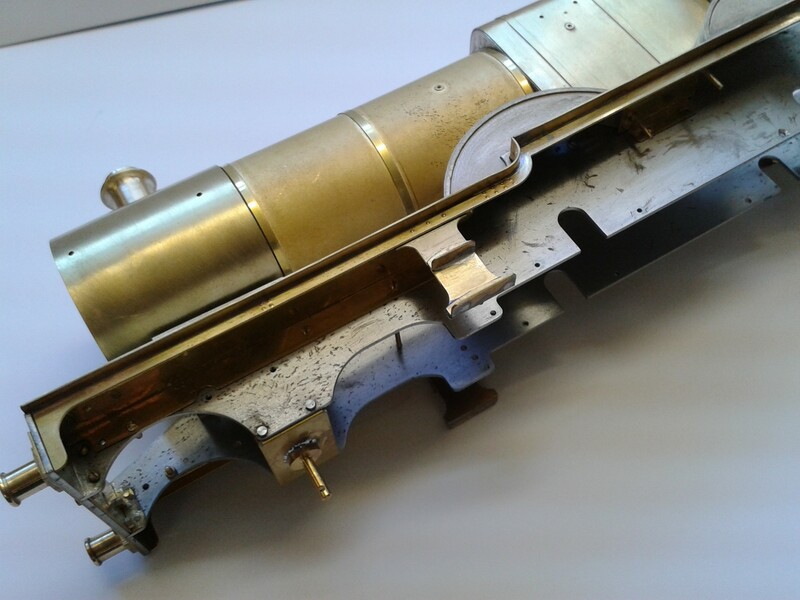 This includes the sheet brass rolling and silver soldering, etc. There are however new skills to be learnt that include basic soft soldering techniques and simple folding. Let’s look at the kit itself. It is always well packaged, and as previously mentioned is delivered by post in instalments over a 12 month period (this time span has in fact overrun). There does not seem to be any logical sequencing in the delivery of components which can cause some frustration, particularly if waiting to complete a specific sub-assembly. The Instruction Manual arrives complete in the first pack. Overall it is an excellent document, starting with lists of basic tools required, describing and listing various adhesives and their specific uses, plus construction tips. It also includes a list of suppliers. Even though the starter kit is mainly bolted together some adhesives are required, and this presented me with some problems as my local suppliers (Northamptonshire, and indeed some of those listed, did not stock some of the required adhesives, particularly the Loctite range. In the end alternative adhesives had to be purchased, leaving the novice a little concerned, wondering whether they have purchased the equivalent to that recommended. They are also costly, adding in the region of £70 to the final bill. Maybe to avoid this sourcing problem and the accompanying frustration, the starter kit could include, as an optional extra, a pack of adhesives and solders required. The experienced builder would probably have everything to hand in their arsenal of materials and equipment. Now to get back to the Instruction Manual. It is split into two sections, tender first and locomotive second. Each of these sections is sub-divided into a series of assembly tasks, and once again I must admit there appeared to be no logical sequencing to these tasks. It does mean dodging about and cross-referencing through the manual. Delivery of the components and relevant instructions are not in the same sequence as the manual. The instructions are in the main clear and precise being accompanied by a large number of photographs. It is written in a user friendly manner that includes some wry humour. Obviously written by experts and enthusiasts, there are occasionally certain assumptions made that the novice may not understand or find more difficult to comprehend. This I think will particularly rear its head when it comes to the ‘black art’ of valve setting. But we will see! Overall though it must be admitted the instructions are excellent and Barretts should be congratulated on this, particularly when compared to those supplied by many ‘0’ Gauge kit suppliers who must be living on a different planet to me. In case of any queries regarding the Instruction Manual a phone call to Barretts remedies the situation. Now for the Components. 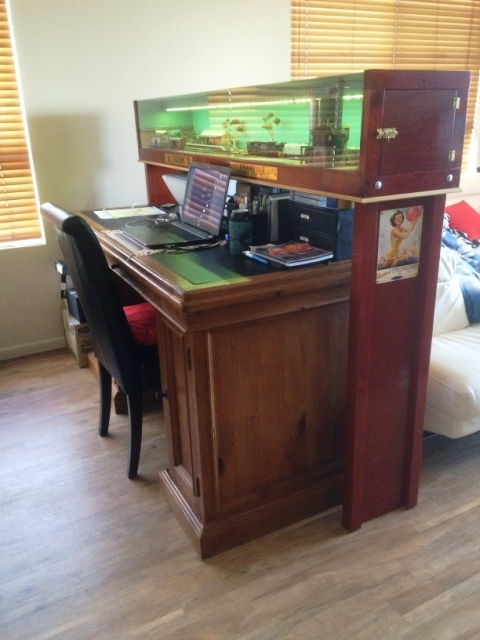 They are beautifully made to an exceptionally high standard. 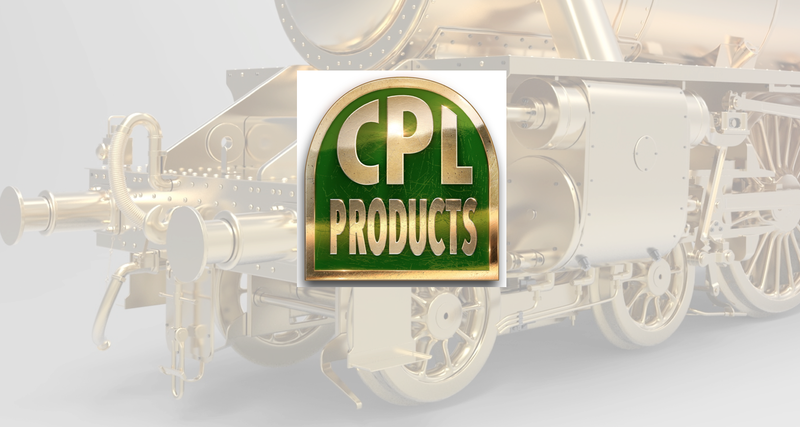 This is achieved I believe by Barretts adopting a strategy of producing only a limited number of each design of locomotive each year. Components are therefore batch and not mass produced. Care is obviously taken at source and does not, as many suppliers rely upon, leave it to the customer to resolve problems of poor quality. This does seem to be a trait adopted by many kit manufacturers. Having visited the Barrett workshop in Pelsall, Birmingham, one can rest assured the kits are produced by craftsmen. The workshop is small, clean and has a comprehensive range of machine tools and associated equipment. But most of all, it is the enthusiasm for their product that comes across. 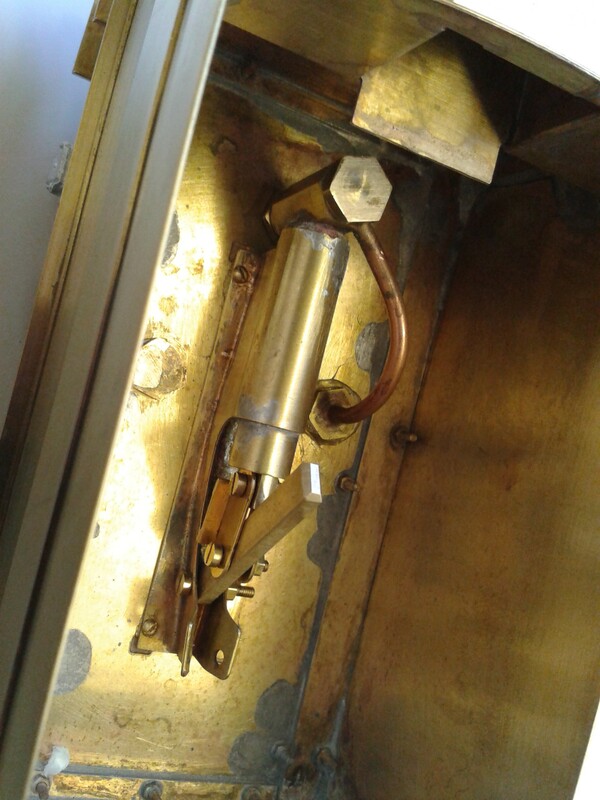 It does not appear to be a highly pressurised environment – it may be underneath but it’s not obvious to the visitor. Customers are welcome to visit them at any time (by appointment). I have elected to collect my component packs which would normally be posted out to the customer. Although a 140 mile round trip, it gives me the opportunity to sort out any queries I may have, and I have taken the opportunity recently to attend a short but very enjoyable training session on soldering. This followed some early disastrous soldering results. 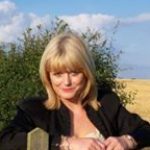 These training sessions are charged at a very reasonable hourly rate and the kit does include a couple of hours free consultation by phone or personal visit. On several occasions when unsure of myself I have benefited from this service. Being a small company, Barretts source some of their components, castings for example, from outside suppliers. Rigid inspection and subsequent machining operations ensure the quality is retained. Little cleaning up or fettling is required on any components. 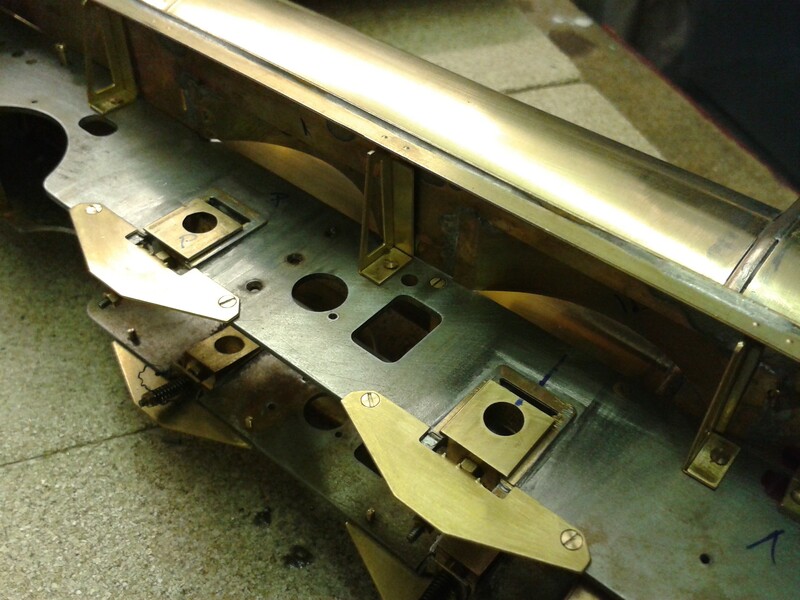 I did have one or two heart stopping moments when removing some of the sheet brass components from their fret. By using inappropriate tools it was easy to distort both small and large components. The purchase of an Xuron cutter overcame this problem. On receipt of the brass sheet frets, I removed all the components from the fret after identifying all the parts by marking on the part numbers with a fine permanent felt tip pen (used for OHP transparencies). In fact I marked each on both sides which made identification easier. The next most important thing I did was to store all the components in deep foil food trays. This reduced the chance of losing any and made locating the required part easier. 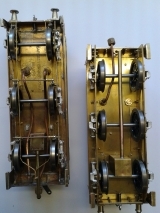 All parts relevant to the tender went in one foil tray, those for the locomotive in another. All the machined parts and sub-assemblies were also placed in trays, and all the trays were then packed away in a plastic under-bed storage box. It has made life so much easier knowing where everything is located. Now to The Mistakes. I had read the whole construction manual cover to cover when it arrived and therefore had a ‘flavour’ of the project, but had not fully digested the information. I then read each section again prior to starting, initially on the tender. Yes, I had read it, but not understood it. It reminded me of my school days; no wonder I only ended up with ‘0’ level Woodwork! I now read and re-read each section as I go, for there are hidden gems of information which if disregarded can cause, and have caused, minor disasters. For example, I missed where it suggested using a drop of oil on the taps when tapping out the holes. Result, two broken taps, each costing £26 from my local supplier. (I have also learnt to contact one of the mail order engineering suppliers where they are half that price.) Another useful tip I had missed was the use of Tippex painted onto areas that you don’t wish to be soldered. This would have been particularly useful when attempting to silver solder two small components which I held together with spring loaded tweezers. All went well except the tweezers were beautifully soldered to the parts. However I tried they would not un-solder with the result of my having to purchase a ‘Dremel’ grinder and having to grind the tweezers off the parts! To add insult to injury, whilst trying to part these pieces with the blow lamp, unbeknown to me, the wooden bench having smouldered for a few minutes, burst into flames! There have been other minor self-inflicted problems and I have now learnt that if I don’t understand – phone Barretts! 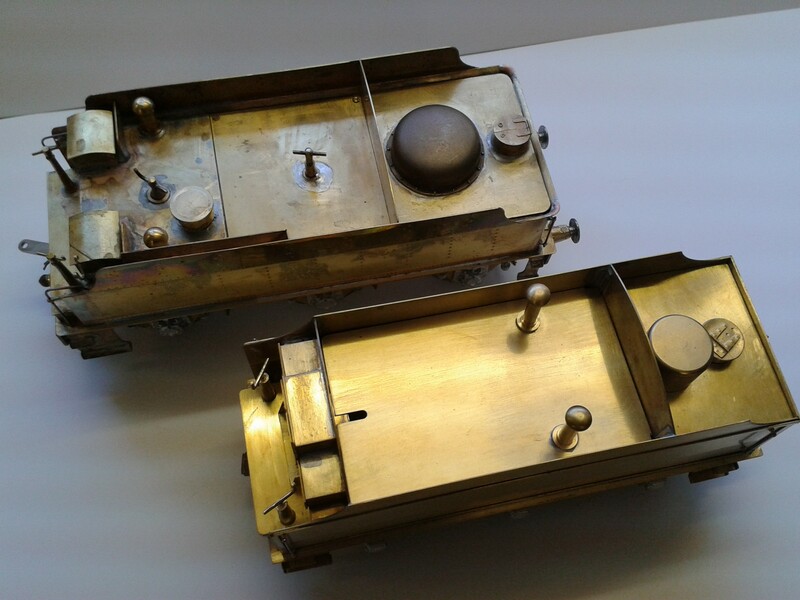 I should mention that whilst these starter kits are mainly bolted together, there are certain components, particularly the water tank on the tender, that does need either glueing or soldering. 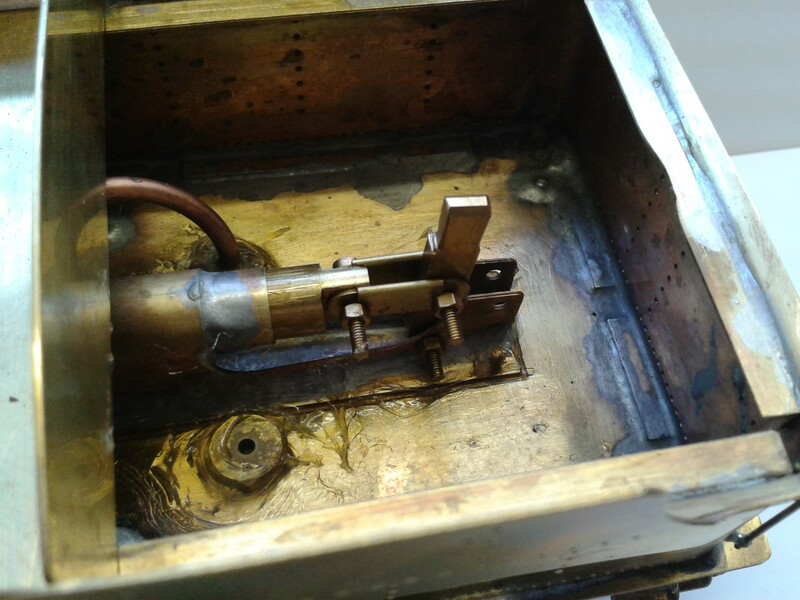 I am sure the glueing works well, but I thought I would have a go at soldering the tank, after all it is bolted together and the solder is used more as a gap filler, and thus appeared to be a fairly simple operation. The instruction manual identifies the sequence of soldering. It was one of those jobs that you know within the first few minutes whether it is going well or not. In my case – ‘not’! The solder formed either in a great blob, or if it did run, it ran where it was not supposed to. The panic solution appeared at the time to introduce more solder, and eventually the gaps were filled, but I suspect I have doubled the weight of the tender by introducing its own weight in solder! It is, however, watertight. There again, I should have taken Barrett’s advice and practised on some scrap first, or maybe just glued it together! Construction of the 2P has progressed by leaps and bounds and I am delighted with the progress to date. The real frustration for me was the ‘downtime’ waiting for the next batch of components to become available. I did come up with a solution, however. Now this may sound strange, but I contacted Steven at Barretts and enquired if I could purchase a more difficult kit, to run alongside the 2P build programme. 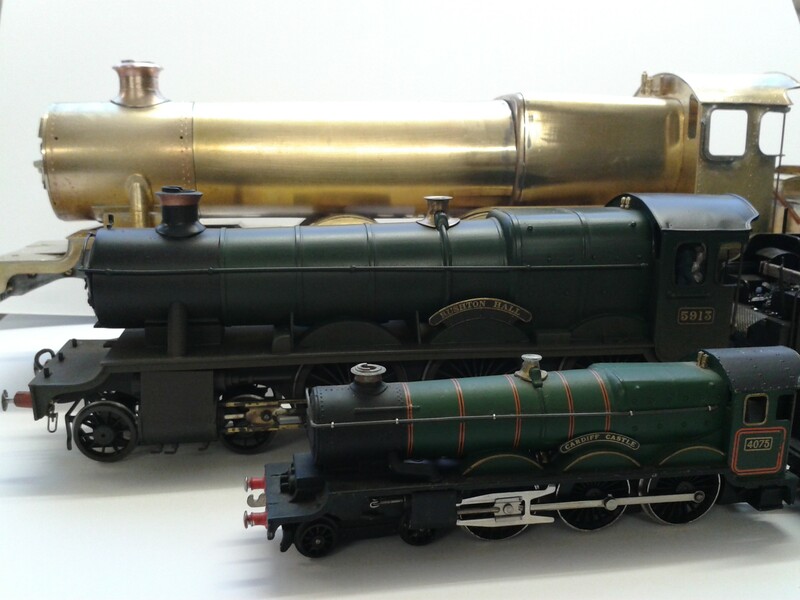 After some hesitation, or maybe shock, he suggested the GWR 4-6-0 Grange kit that was going through at the same time and may be appropriate to fill in the gaps between deliveries, and therefore I placed an order for the Grange. It has been an interesting exercise to have the opportunity, as they say in academic circles, ‘to compare and contrast’ the construction of the Grange alongside that of the 2P. So what is the difference apart from the visual impact of the two locomotives? Manufactured to the same high quality, the difference is fairly obvious when reading the instruction manual. The processes involved in the construction of the Grange do require additional skills over and above the starter kit. 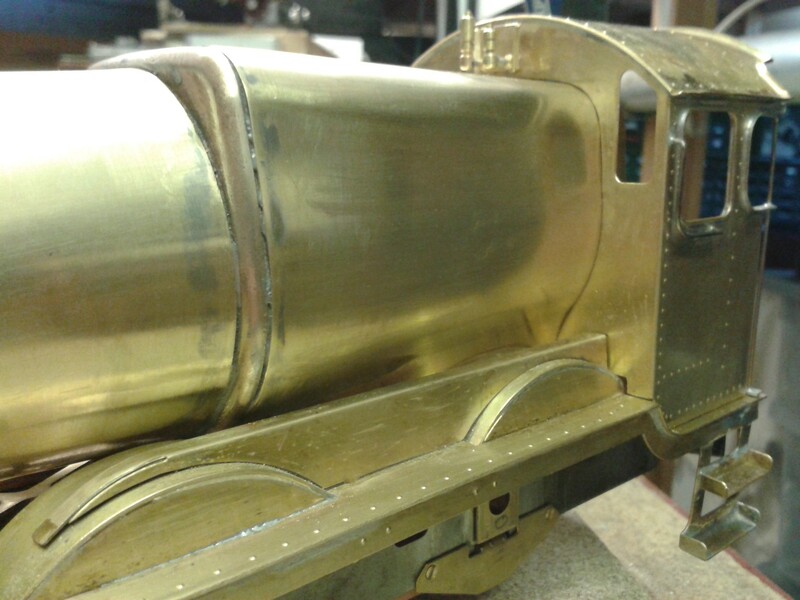 There is a large amount of extra detailing, but probably the most daunting is the forming and rolling of the tender panels, the firebox, tapered boiler and smoke box wrappers. Also, there is a fair amount of silver soldering. 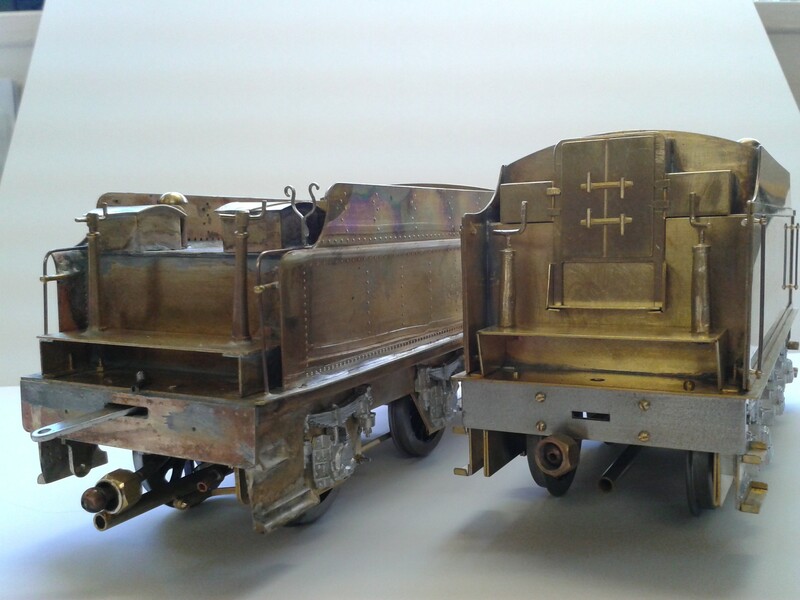 The forming of the tender sides and rear panels went relatively smoothly, and strangely enough I did manage the fairly complex firebox wrapper. This was only achieved by carefully following the instructions (for a change!) and taking my time. Not having any rolling bars, or even appropriate pieces of scrap bar of various diameters, did mean utilising anything that came to hand to form the radii. This included my using felt tip pens of the appropriate diameter, plastic waste pipe and lumps of wood. I learnt a lesson. I was really out of my depth and decided to ask Barretts to complete all the remaining rolling, and at the same time to carry out the majority of the silver soldering, which to date has not been mastered by me. In effect then, what I have done is to turn the Grange kit into a similar format to that of the Midland 2P starter kit. In other words, let them do that which I am not capable. 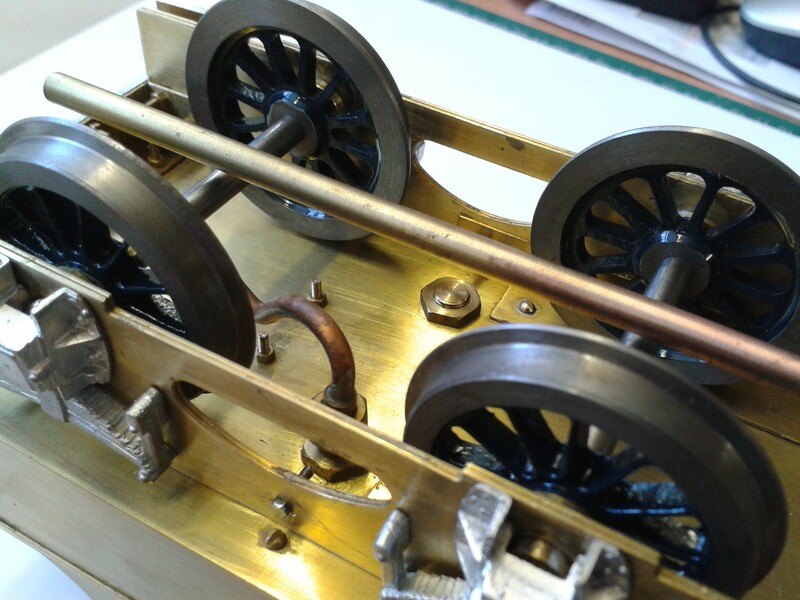 Both locomotives are at the time of writing awaiting wheel sets and in fact the Grange is further forward than the 2P. I hope in the next couple of months to crack on with both kits and complete them in the foreseeable future in readiness for painting. I do have to face the prospect of timing the valve mechanisms of both locomotives and quite honestly having read the instructions many times, I fear this ‘black art’ may once again defeat me. Perhaps when all the components are together it will become more obvious what is to be done. 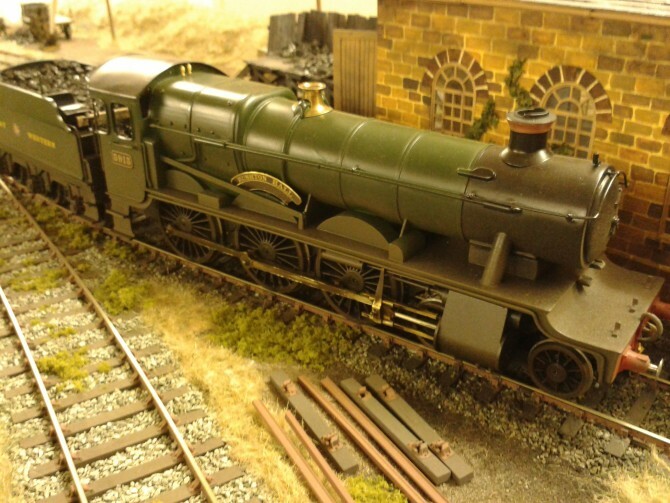 I am also not looking forward to painting the locomotives and tenders knowing from my previous experience with ‘0’ Gauge locomotives it is so easy to spoil the look of a finished model with a poor paint finish. However, I have purchased an air brush and compressor, etching primer and top coat in readiness. Perhaps I ought to practise a little before attempting to paint the finished models! Well, the two locomotives are not yet finished and there is still time for them to join the unfinished model under the bench, but I have a strong feeling they won’t end up there. Building these two kits has given me enormous pleasure and I am looking forward to firing them up for the first time. I am also looking forward as a member of GIMRA to becoming involved with my local Midlands group. 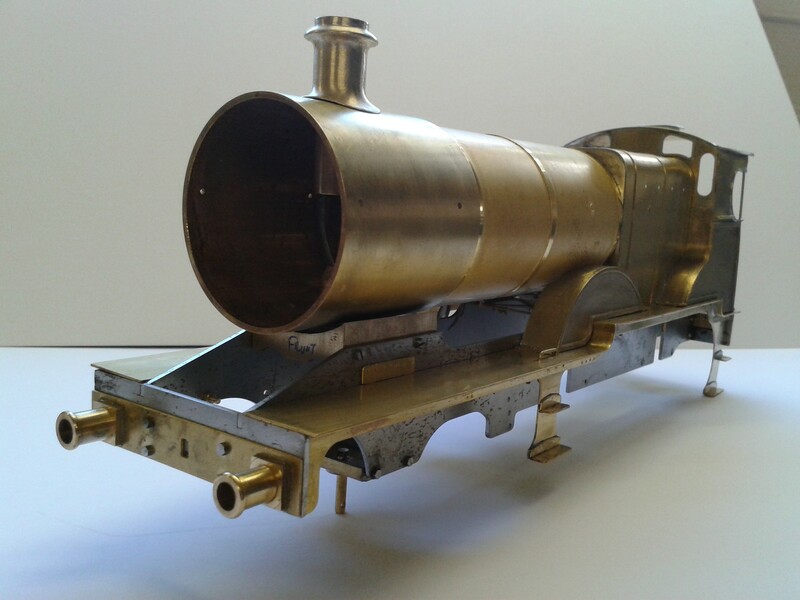 Would I encourage anyone thinking about building a kit as an introduction to Gauge 1 live steam? From my experience, it would be a definite ‘Yes’. Would I be tempted to build any more Barrett kits? 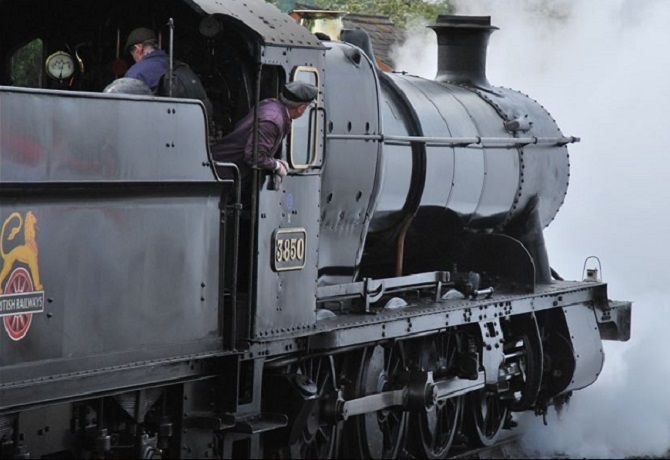 The answer to that is once again a definite ‘Yes’ – I have just ordered a ‘Black 5’ kit! I’m building a 2P from Barretts as well. Today I achieved a milestone. I ran the engine from a compressor. Its a tremendous experience when it actually runs. I have a adaptor made by soldering a car tyre valve to a brass ferrule. I even ran it up and down some track trailing the tube connected to the compressor. I enjoyed a good visit with Steven at the Barretts workshop on Friday which enabled this leap forwards. I , too , have quite a few kits in the storage area. Trucks and diesel locomotives. Look forward to reading more of your experiences. Where will you be running you locomotives ? I am very pleased you are having success with your Midland 2P. It is very exciting the first time they run and I experienced the same thrill at Barretts when mine was connected up to their compressor. I hope to have mine in steam on the 19th June when I am attending another of Steven Barrett’s workshop days. I admit I am apprehensive at this stage regarding setting fire to the loco! 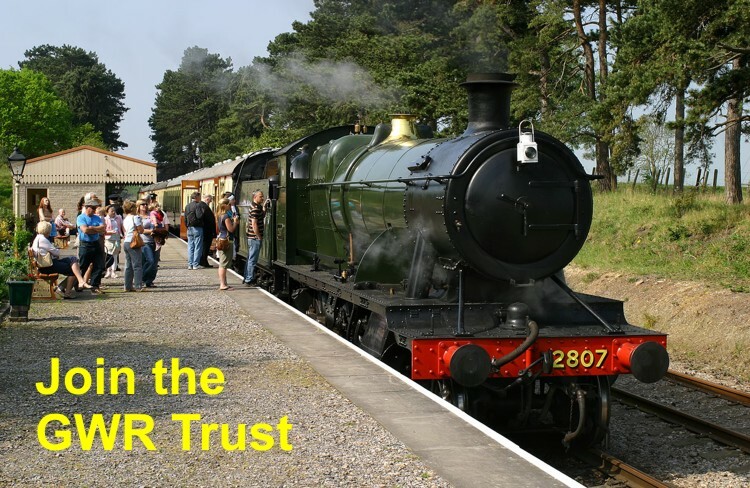 I propose to run this engine and the others under construction on local Gauge 1 Society members’ garden railways in Northamptonshire and ultimately hope to build a small garden test track. Just out of interest, I have applied to HMRC for a licence to stock some industrial meths which I am advised is the best fuel on which to run the locos. According to Steven, it doesn’t leave any residue or stickiness on the wicks. Industrial meths is only available from suppliers on production of a licence. Look forward to hearing how your first steaming goes. Hi can I ask what did you with the 5″ pug? The Pug is 90% complete, i.e. chassis complete, and body work constructed and painted, etc. I have the majority of the components to complete the model but I must admit without a detailed construction manual I am at a loss to know what to do. I therefore have decided to sell the Pug as it stands for £750. If it doesn’t sell, then this is my ‘project under the bench’ ! !